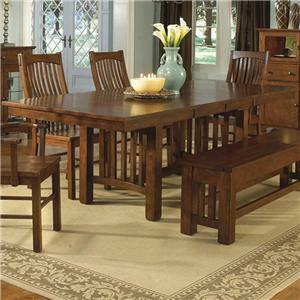 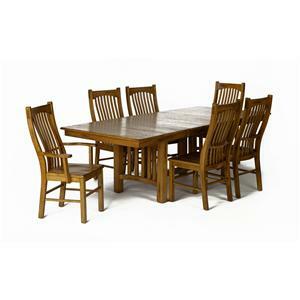 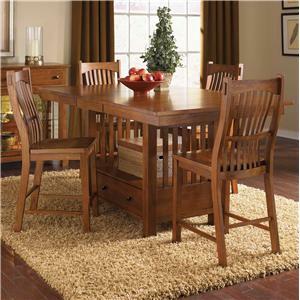 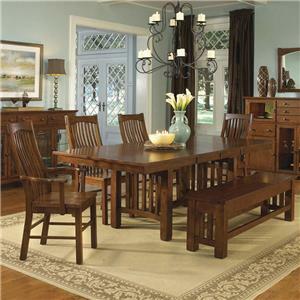 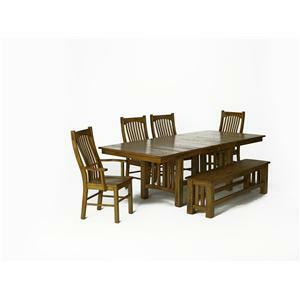 Create a fantastic place for casual meals with this mission style gathering height table set. 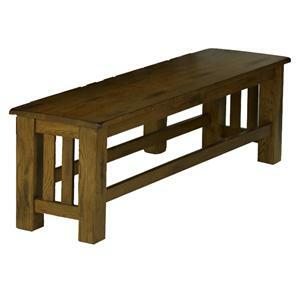 The counter height table offers great versatility to your home's kitchen or dining room with its storage in the slatted pedestal base with a drawer and shelf. 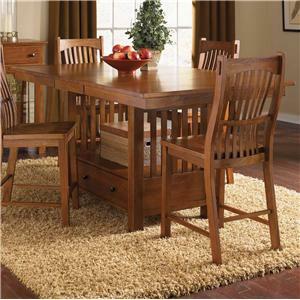 The 16-inch leaf extends the table with 56 inches long to a total of 72 inches for more room at the table. 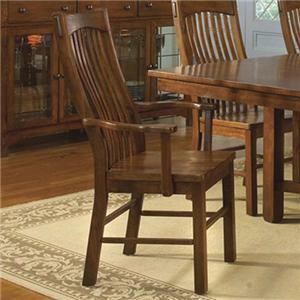 The four coordinating slatback barstools with peg details and contoured woods seats complete the set and offer authentic Arts and Crafts styling. 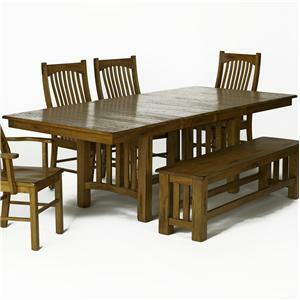 The Laurelhurst 5-Piece Rectangular Gathering Height Table Set by AAmerica is available in the area from FMG - Local Home Furnishing. 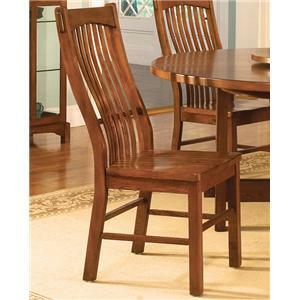 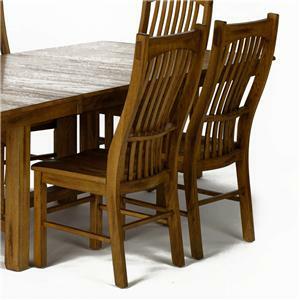 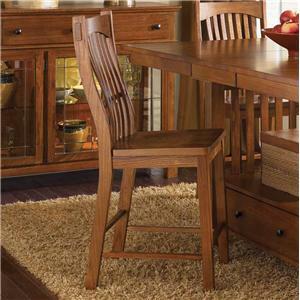 LAU-OA-3-75-K Slatback Barstool 4 19" 23.5" 43.5"
LAU-OA-6-72-0 42" x 56" Rectangular Gathering Table 1 42" 56" 36"
The Laurelhurst collection is a great option if you are looking for Mission furniture in the area. 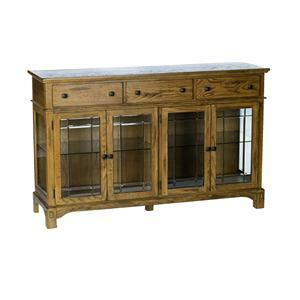 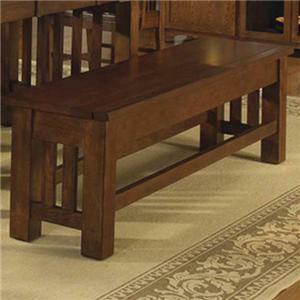 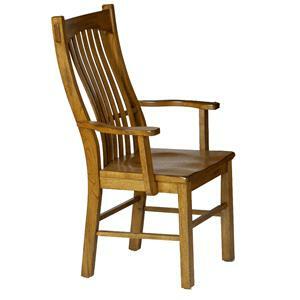 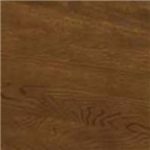 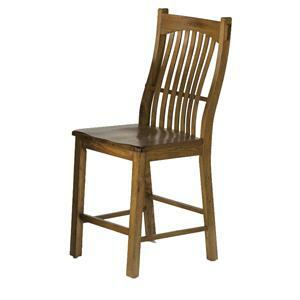 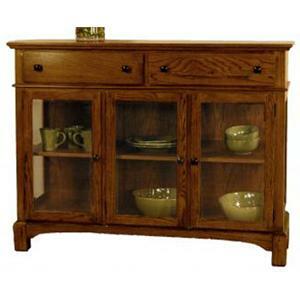 Browse other items in the Laurelhurst collection from FMG - Local Home Furnishing in the area.